Did you know it’s currently afternoon tea week? I do love all the awareness and event days and weeks. Especially when it comes to celebrating one of the nations traditions. Afternoon Tea. The combination of savoury and sweet and a nice cup of tea is perfect. 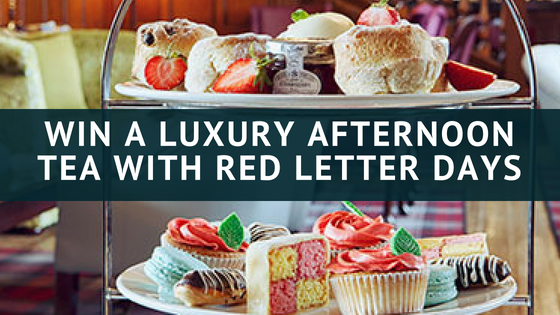 To celebrate Afternoon tea week red letter Days are kindly offering one of my readers the chance to win Luxury Afternoon tea for two. The lucky winner and a friend will be able to choose from 60 Red Letter Days hand-picked luxury venues. Each of these chic and inviting establishments boasts a great location, excellent service and a perfectly luxurious setting in which to unwind and observe a quaint English tradition. No matter which location you select you can guarantee that you will have a wonderful time. Some venues even include a glass of bubbly. Such a splendid way to spend an afternoon. 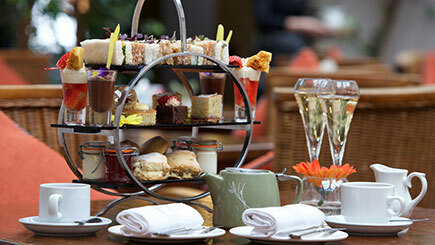 Have a look at the fantastic Luxury Afternoon Tea Prize that Red Letter Days are offering. You can also see the locations you can use the voucher at. If you fancy spending your afternoon being spoiled, eating tasty treats and relaxing then enter the competition below. I would take my best friend so we could have a good catch up. Lovely boyfriend as it’s his birthday next week! I would take my sister with me! My best I end of 50 years, she has had a rough time lately, and I’m trying my best to cheer her up, this would be a lovely treat for her. I would take my Mum with me, we both enjoy tea but it isn’t often we have tea together, this would be a lovely treat to share together whilst getting a good catch up. Would take the OH because he deserves a lovely treat for his birthday – big one! I would take my daughter for a treat, before starting university. my mother, as I know she`d equally enjoy it! My daughter because we always have a lovely time together and we both appreciate lovely cakes. I’d take my boyfriend because he’s had a tough year after losing his job but now he’s decided to go and get himself a degree and I’m really proud, so this would be a nice treat before he starts studying! 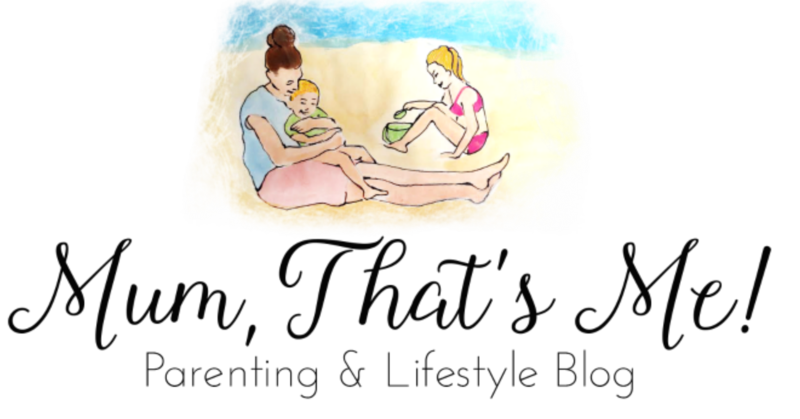 My wife – to give her some much-needed rest bite from the little 1s! My mum as she deserves a treat. I would take my mum for her birthday. I’d love to take my mum because she’s really deserves a treat! I would take my niece as she has never has an afternoon tea before! I would take my lovely mum, because she has had some health problem recently. I’d take my best friend as she’s could really do with a special treat! Great competition thanks for the chance to win. I’d love to take my mum for afternoon tea – because despite everything she always puts me and my sisters first. It would be lovely to treat her for a change. got to love afternoon tea. would love to win this one. I’d take my Husband as it would be a lovely day out for us. We haven’t been out for even a coffee in over 2 years so this would be a real treat. I would taje my husband for a relaxing afternoon. I’d take my mum as it would be lovely to be able to treat her! My sister for a good family gossip! I’d take my amazing big sister so we could discuss her exciting wedding planning! Who would you take with you for the luxury afternoon tea and why? I’d take my mum with me because she’s had a super rough year being ill and in and out of hospital, would be lovely to treat her! I’ve lived in England 15 years and I’ve never had afternoon tea! I’d take my boyfriend if I won. I would take my best friend Nikki. We always have such a good natter with lots of laughs over a cup of tea and a slice of cake. I’d take my husband for a special afternoon tea for some couple’s time before baby no 3 arrives at Christmas. I’d take my son as he’s a great cake lover like me. I would take my mum as she never treats herself and definitely deserves it! My husband – he doesn’t have much of a sweet tooth, so I’d get first choice on the cakes! My boyfriend because he’s never had proper afternoon tea and he could do with experiencing the fancy side of life! My husband. He’s a great husband and father to our 2 daughters. I would take my husband as we have 2 children and never get any time together as we both work too! I would take my hubby as reward for all his support! I would take my husband, it would be nice to have a break free m the kids! My husband – purely because I have had a couple of afternoon teas with my daughter and he is jealous! I’d take my other half. Because we never go out and afternoon tea would be a real treat! I’d meet half way with my oldest friend from back home and share an unexpected afternoon of togetherness! I’d take my gym buddy with me because we work hard and definitely deserve a great. My husband – as he would absolutely love to be treated! I would take my mum. I’d take my sister as she needs cheering up at the moment. My best friend who recently celebrated a big birthday. My best friend, who recently celebrated a big birthday. I would love to take my mum, who has had a few health issue recently. my husband to carry my bag! I would take my mother in law because she helped take care out of me when I came out of hospital. My best friend, Mia, she always arranges surprise days out and it would be lovely to return the gesture. Just love afternoon tea a good chance to have a catch up over tea and lovely food. I’d take my husband to say thank you for being there for me during a really tough time recently. I’d take my best friend as we both love an afternoon tea! I would take my friend Claire because we’ve not had a chance to catch up for ages and relaxing over tea is one of our favourite ways to do it. I would take my OH as he has been so supportive and we love a good afternoon tea. I would love to win this and take my husband as its our 33 years wedding anniversary tomorrow. I would take my husband because he would absolutely love it. I would meet up with my cousin when she comes to visit, she lives 200 miles away so much nicer to talk face to face than text or emailing. I’d take my bestie Kelly so we could catch up without the kids distracting us. I’d take my Mum for her birthday! I’d take my mum she suffers from ME but never complains she in an amazing grandmother and I would love to treat her. I’d take my mum to say thank you for looking after my little boy whilst I go to work! I would take my sister as a treat to celebrate her continued good health. I’d love to take my best friend, we could have a good natter and catch up! My husband as we don’t get to spend much quality time together – when we are together we are doing chores! I would love to take my partner as he works really hard and deserves a treat. I would take my partner Craig…for our Monthly Fri-Date…. Once a month we make sure we have the day off work together, swap out baby’s nursery days so she has a full nursery day and convince my dad to pick the kids up from school…that way we get to spend 8 hours alone with no kids…it’s amazing! I would take my mam as she deserves a nice treat and this would give her a lovely afternoon to relax. My husband, it’s his birthday in 2 days. I would take my partner as she deserves something nice! l would love to take my hubby he works so hard and he loves his tea and cake!! My hubby – we have had a difficult time with problems in our new home so this would be a lovely treat. I would take my good friend Juliette. We live quite a way from each other but like to meet up for cocktails and chat whenever we can. This would be a lovely treat. I would love to take my best friend as a treat. I’d take my husband so that the two of us can enjoy a bit of couple time. Id take my husband, the one who always puts up with me! I would take my husband with me! My mum..lovely to spend some time together. My sister. In pregnant and she has a baby so would be a lovely treat. Have never been for afternoon Tea! So would love this. my son now he is home from uni , to catch up with his news. My lovely Mum who deserves a special treat!! My mum & my gran, they’d love it! I would take my sister because she has been amazing with me and my kids and now expecting one of her own. She has been through so much and I would love to treat her and get some quality sister time. I would take my husband. We always say we will have more date days (we started off the year having one each month but life kinda got in the way), so it would be nice to kick it back off with afternoon tea. I’d treat my mum to a Luxury afternoon tea as she is about to be a grandmother for the first time, and im about to be a mama for the first time sow e could do with a little luxury before all the chaos begins! I would love to bring my mum when she comes to visit. I would take my daughter as she has been amazing looking after me. I would go with my partner for my birthday. I would take my mum with me – I think she deserves a treat! My mum. She deserves a treat. Id treat my mum – she has just turned 70 and afternoon tea is her favourite treat ever! My partner and carer. She does so much for me, she deserves to be treated. I’d treat my eldest son as he did well on his GCSE’s and I think it would be a good experience for him to get a taste of something sophisticated and grown-up like enjoying Afternoon Tea! I would love to take my sister because she has been my rock since I was made redundant and this would be such a lovely treat for both of us! Would take my mum out for afternoon tea! She always putting everyone first before herself. I would take my mum as its her birthday at the end of the year and she would love to go for a birthday yreat. My fiancé, we both enjoy nice food. I love tea. Would be a wonderful treat for both of us to enjoy some quality time together. I’d take my partner because he deserves it!